In October 2018, the Agency of Securities and Exchange Commission awarded 15 SB Contractors for the ONE OIT contract worth $2.5 billion, for a 10 years period. This multiple award ID/IQ contract was awarded to three large contractors in June and 15 SB contractors in October. It was a streamlined, common, and flexible contracting vehicle to procure Information Technology (IT) services with the intention to enable the SEC’s Divisions and Offices to meet the SEC’s strategic mission and objectives. The contractors are required to provide flexible services in systems and software development in a variety of environments and infrastructures. After announcing the winners of ONE OIT in June and October, the agency mentioned its intention to start the on-ramping process soon. On November 9th, the agency hinted that it would issue the on-ramp RFP as early as November 30th. This means that there is going to be an expansion of the contractor base, and more vendors are invited to compete for the restricted, small business pool before the end of the month. What do we know about the new Opportunity? Unlike the original RFP in which all SB firms had to cover all Service Channels, it is contemplated that firms will be able to identify their interest and submission for individual channels as well. Contractors cannot have an “over-and-under” or similar arrangement in which they are Prime and at the same time subcontractor to another company. You can only be one, either Prime or Sub. 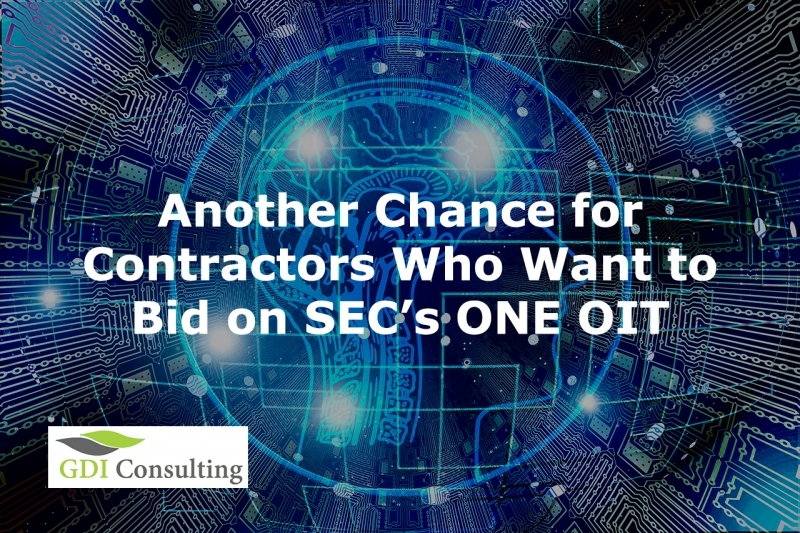 The RFP due date was originally set at mid-December but SEC has mentioned that it could drop as early as the end of November. As subcontracting is allowed and since this is a self-scoring evaluation system, companies must expedite their partnering campaigns and prepare their experience portfolio and strategy to maximize their scores.